We’re Excited About What is Going On at The Faith! Check Out of Few of Our Events. Water Baptism Coming Soon…FFCC Members if you’re interested in being Baptized, please visit the Baptismal Page and sign up. Must be at least 8 years of age and attend a 1 hour session prior to Baptismal. 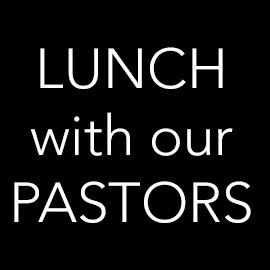 Immediately after each 4th Sunday Worship Service, you’re invited to have lunch with the Pastors at a restaurant in the city. All members that are interested please sign up in the foyer. REVIVE THE SOUND Saturday, March 30th, 6:00 PM. If you missed the first one, you CAN NOT miss this one. Live Recording and More. We want you to be in the House! SPRING is fast approaching and we’re excited about our Children’s Ministry. Saturday, April 20th @ 11AM-2PM Community Wide Egg Stravaganza with Games, Giveaways & Egg Hunts.